This article is about the game console. For the microgame of the same name in WarioWare, Inc.: Mega Microgame$!, see Game Boy (microgame). For the gamebook series of the same name, see Game Boy (book series). 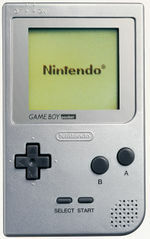 The Game Boy is Nintendo's second handheld console. The Game Boy is one of the best selling game systems of all time, containing a processor 2.345x faster than the NES and selling around 64,420,000 units worldwide. It was so popular that Nintendo actually pushed back production of the Game Boy Color. It was discontinued in 1999 but is famous to collectors. It is the handheld counterpart of the NES and SNES. It has 8-bit graphics (similar to the NES). The Game Boy has the , , and buttons and the which make the controls similar to that on the NES. In 1995 a new version of the Game Boy, as part of Nintendo's "Play It Loud!" campaign, was released. This version is exactly the same as the original; the only difference is the color of the system. Game Boy games are also available on the Nintendo 3DS Virtual Console. Below is a compatibility chart. Any game only for Game Boy Color will boot but refuse to play further. There is a Game Link Cable accessory that allows for two Game Boys to connect with each other. Dr. Mario and Super Mario Bros. Deluxe are examples of such games to take advantage of this feature. There is even a 4-way version of this for games that can take advantage of this accessory. Not to be confused with Game Boy Advance's method of doing so. To communicate with later models, such as the Game Boy Pocket or Game Boy Color, a special adapter needs to be used (model MGB-004). This accessory transforms the Game Boy into a very primitive digital camera. The equivalent today would be Snapchat on a Smartphone. This accessory allows the ability to to make prints of images on special thermal paper. 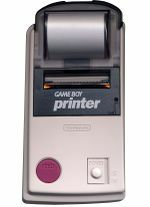 Game Boy Printer connects to the Game Boy via Game Link Cable. 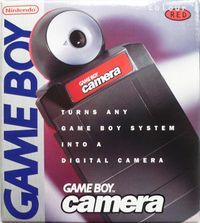 The main accessory to use this accessory was the Game Boy Camera. A select few other games make use of this feature, such as Pokémon Yellow Version and the Generation II Pokémon games. 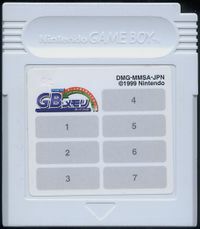 Only in Japan, the GB Memory Cartridge is a rewritable version of regular cartridges, through kiosks at retail stores between 1997-2007. 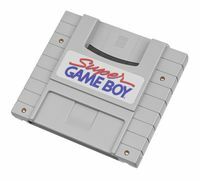 The Super Game Boy is not an actual system; rather, it is a Super Nintendo cartridge that one could insert Game Boy cartridges into, thus enabling people to play Game Boy games on their television screens through the Super Nintendo. Certain games have additional colors that can only be seen while played on a Super Game Boy. 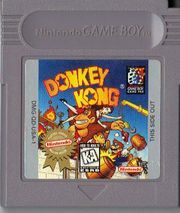 Donkey Kong has a special color palette designed for the Super Game Boy, as well as a special border designed to resemble the original arcade cabinet. 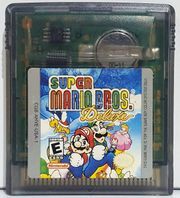 Game Boy Color games with black cartridges can be played on the Super Game Boy. These features are not available on the 3DS versions due to using a Game Boy emulator rather then a SNES emulator. 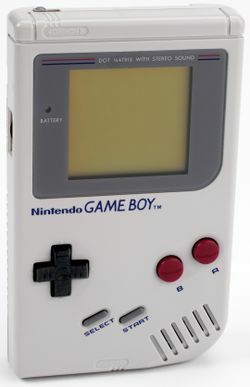 The Game Boy Pocket is the second system of the Game Boy line. As the name implies, it is a pocket-sized Game Boy with its same features, and it was lighter in weight, with a clearer screen and a longer battery life. It requires two AAA batteries rather than four AA batteries in order to play games. The first release had no battery light indicator and it was rapidly replaced with a second release with the battery light due to customer complaints. The second release made its way into markets in several different colors (red, blue, green, yellow, black, etc.). The Game Boy Light is the third system in the Game Boy line. It was released only in Japan in April 14, 1998 because Nintendo decided to make the Game Boy Color as Western gamers wanted "color, not light," but said system was also released in Japan. The system is slightly bigger than a Game Boy Pocket and came only in two colors, gold and silver. Its main function, as the name implies, is the ability to produce backlight in order to play games in low light conditions. There were several special editions such as the Astro Boy edition. 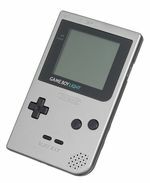 At the time, it was the rarest Game Boy system, only available in Japan, but due to websites, such as eBay, the system became widely available in the entire world. It was the only Game Boy system to have proper backlight until the release of the Game Boy Advance SP. The batteries of "Wart's" Game Boy expire. 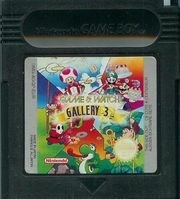 In the Game Boy comics mini-series by Valiant, Game Boys acted as gateways between the Mushroom World and Earth. The Club Nintendo comic "Wart steht unter Strom" is about Wart (who is Bowser erroneously labeled as "Wart") who is playing Game Boy. The power of the batteries expires, so Wart carelessly throws the batteries away. Mario reminds him that they should be disposed of in containers instead. In the Nintendo Adventure Book Doors to Doom, Mario and Luigi can encounter Wart, who is relaxing in his lair and playing a Game Boy, having mellowed out and become a skateboarder since his last encounter with the heroes. In Super Mario RPG: Legend of the Seven Stars, Mario is able to buy a Game Boy from a Toad in the Mushroom Kingdom. In Luigi's Mansion, there is a Boo called Game Boo, which is probably a pun on Game Boy or its series. In Paper Mario: The Thousand-Year Door, there is an oversized Game Boy as the scoreboard in the Pianta Parlor. In WarioWare, Inc.: Mega Microgame$!, 9 Volt has a giant Game Boy in his house. 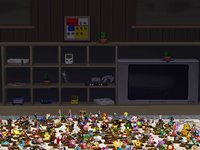 A stage that takes place in a Game Boy system, Dream Land GB (based on Kirby's Dream Land), appears in Super Smash Bros. for Nintendo 3DS and Super Smash Bros. Ultimate. Additionally, during the Classic mode credits minigame, hitting the Nintendo logo towards the end plays the Game Boy start-up sound. Though the Game Boy itself doesn't appear in Super Mario Odyssey, one of the filters that is available for use in Snapshot Mode is the graphics style of the Game Boy. Different types of Game Boys. Notice the red Game Boy with the Manchester logo at the left. To commemorate the 100th issue of Nintendo Power an exclusive golden Game Boy Pocket with a Nintendo Power logo and a 100 next to the system's logo was bundled with the issue. This is the first Nintendo console that can play some of its successor's games, albeit in gray scales. The screen color on the original Game Boy is later used as an alternate costume for Mr. Game & Watch in Super Smash Bros. Brawl and Super Smash Bros. for Nintendo 3DS / Wii U. The Game Boy's startup sound can be heard in Nintendo Puzzle Collection while playing Yoshi's Cookie. It is heard when a lightbulb appears over Mario's head. This page was last edited on April 19, 2019, at 14:50.